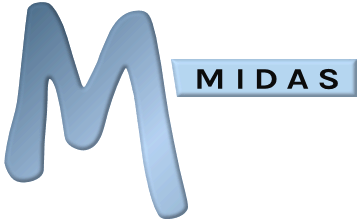 MIDAS includes an "activity tracker" that keeps a log of all recent user activity in MIDAS. This recent activity log records logins/outs, failed login attempts, bookings and clients added, modified, or removed, emails sent, database backups, etc. The activity tracker can be accessed via the icon in the main toolbar. Newest activity is shown first, and the log can also be filtered by both user and event category.